Bypass geo-restrictions with VPN for Kodi fire stick. The popularity of Kodi is not unknown. Most people opt for Kodi to watch the online movies and TV shows for free. A few months ago, the Motion Picture Association of America (MPAA) revealed that 38 million users use Kodi globally. According to the report, of these 38 million users, 26 million viewers use piracy add-ons. However, the official installation of Kodi is 100% legal. And Kodi on Amazon TV firestick is the latest trend. To have secure and anonymous streaming on your Firestick, use a VPN for Kodi fire stick. If you are paying for the content you watch online, then it’s ok. However, if you are watching any movies, and not paying for the content, then you are breaking the law. Also, while watching the content online, you may realize that certain content is inaccessible in your area. That is due to geo-restrictions. But, you can watch the content, without letting anyone know. The solution is Le VPN while using Kodi on firestick. Le VPN is one reliable VPN for Kodi fire stick. There is more to VPN service than masking the IP address. Read on to know more. Kodi today is the King of the entertainment hub for Home theatre PCs. It has changed the way we stream our videos online. One of the most popular uses of VPN is to use it for streaming video and entertainment related stuff from any of the countries. One of the hurdles faced by the user is the content that is inaccessible due to geographical restrictions. What Is Geographical Restricted Media? There is various software like Netflix and Kodi, which has literally changed the way we see the entertainment world. But certain countries do not allow such online streaming apps. Hence, if you are traveling or moving to a different country, you can use a VPN for Kodi fire stick. This will allow you to unblock the content of choice and that too anonymously. Why VPN For Kodi Fire Stick? Kodi does not require the use of VPN while streaming videos since it is free software. But if not using a VPN server, you might be restricted to a lot of good and intellectual stuff due to geographical restrictions. To mask this up, VPN hides your IP address and adds some IP address of the country in which you wish to explore the entertainment world. Since Kodi is open source software, it has a lot of third-party support. Kodi for firestick is one of the most popular choices amongst the customers. Kodi works well on Chrome Box as well. The SmartDNS by Le VPN allows you to unblock the most popular TV channels in the US, UK, and France. And you do not need to be available there in person. That means you can watch UK’s TV channels, even when you are in the US. 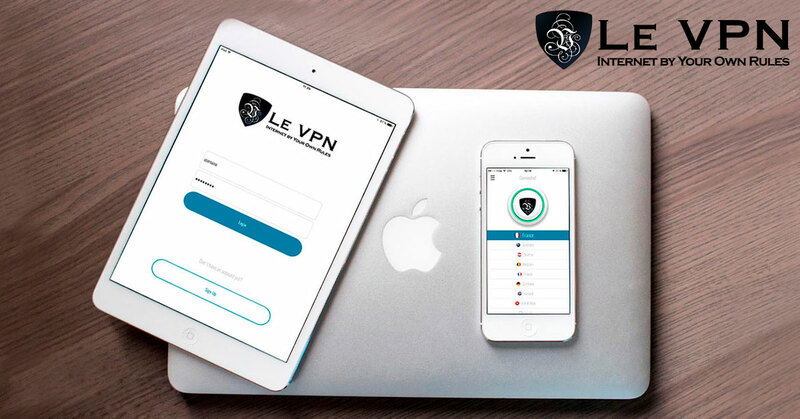 There are a lot of options available in the market for the consumer to choose from, but Le VPN is one stop for all the requirements related to the virtual private network. Apart from the fact that it saves you from online theft and fraud, it allows you to widen your entertainment domain; there is much more to it. Le VPN has servers in 114 countries of the world, which means a user sitting in Japan has unlimited access to entertainment and media of any country, say, Canada. That’s the power of Le VPN. Does that mean the prices are high? No. The prices are affordable and competitive. So, subscribe to Le VPN and enjoy unstoppable entertainment on Fire stick.